The upcoming Sanctuary Cove International Boat Show will draw international buyers and visitors from Sri Lanka, India, the Philippines, South Korea, Taiwan, United Arab Emirates and China. 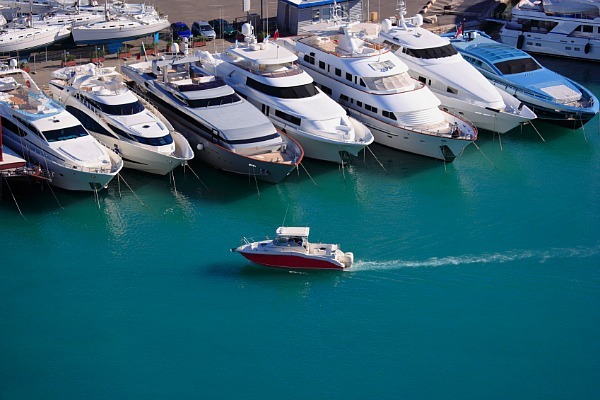 The 21st Sanctuary Cove International Boat Show starts in two weeks from Thursday, May 21 to Sunday, May 24. One of Australasia’s leading marine events, the Show will attract more than 380 exhibitors with more than 80 confirmed marine product world or Australian launches. “The Show is one of the largest shows in Asia in exhibitor terms,” said Sanctuary Cove International Boat Show general manager Mark Jensen. “We are delighted with the bookings received within the current economic climate. Many companies see the Show as vital to their ongoing marketing objectives,” said Mr Jensen. Exciting displays at the show include a multi-million dollar exhibition by Horizon Motoryachts with the Australian release of the Horizon 78 along with the display of the Horizon 65, Horizon 68 Vision and Horizon 73. Australian manufacturer Allan Barnett Motor Yachts launches worldwide the High Seas 63ft while Catamaran Company is showing the French designed Privilege 445 in an Australian launch with the attendance by the manufacturer’s Asia Pacific marketing executive from France. Luxurious head turners at the Show include Sunseeker Australia’s 34M valued at $A23 million; the Grand Harbour 68; and the Endurance 650 from renowned Hampton Yachts which has the entire timber fit out completed using one tree to ensure all timber veneer and hardwoods match. The 60m MV Fantasea Ammari has four decks and is used for charter with 32 spacious cabins. Sail enthusiasts will be interested in the world launch of the Lightwave 45 Grande and the world boat show launch of the updated Bluewater 450M which competed in the Sydney to Hobart Yacht Race. Further, this year’s Show has drawn international exhibitors as well as Australian exhibitors representing locally manufactured goods or distributing new products from around the world. American company Fleming Yachts is releasing the updated Fleming 55 in Australia while US exhibitor Bob’s Machine Shop with a world launch of Mini Jacs. New Zealand companies such as Formula Cruisers and Manson Anchors are launching new products in the Australian market. To aid Australian exports, the International Business Lounge assists international visitors wishing to do business with Australian companies and meet key government and industry groups. “Many visitors comment that the Show offers a wide span of marine exhibitors. We have new engines from Yanmar, John Deere and MAN along with innovative accessories and marine services,” said Mr Jensen. Online general admission prices are the same as 2008 at $A22 for adults and $A19 concession. This year, free entry for children has been extended to those aged 14 years and under. A Two Day pass will be available for $A40. The online pre-purchased tickets offer a small discount over the event day entry prices of $A23 adult and $A20 concession. Conditions apply.